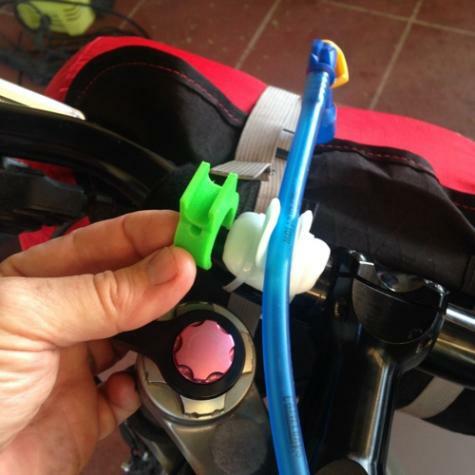 The green piece I'm holding is a 3D printed clip to hold a CamelBak hydration hose onto the handlebars of a mountain bike. 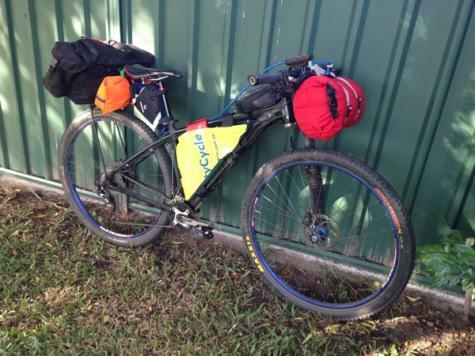 The CamelBak bladder is in a frame bag, this is an offroad touring mountain bike setup. I borrowed the "proper" one from a friend to use as the example to work from. The white one is of course the Plastimake one that I made. It works very well! Check out Andrew's blog post for more information on his impressive bikepacking setup.